The other day, the 9th of November, we brought the last of milking herd indoors for the winter. After nearly eight months of grazing, it wasn’t a lack of grass or freezing temperatures that made our herd head indoors, it has simply got too wet for the ground to carry them. 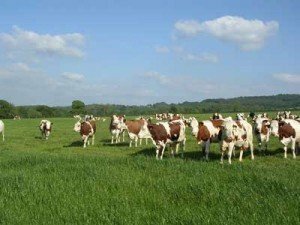 Those lazy hazy days of summer might be a fading memory now but, through the winter months, we will continue to offer our cows high quality grass in the form of silage that we conserved during the warmer months. 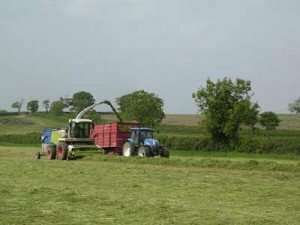 Like grazed grass, good quality silage helps us to reduce the amount of cereals and other feeds we need to provide our cows, saving money and delivering high quality milk. We’re already looking forward to next spring and hope to have our cows back in the fields in early March, which is only four months away.